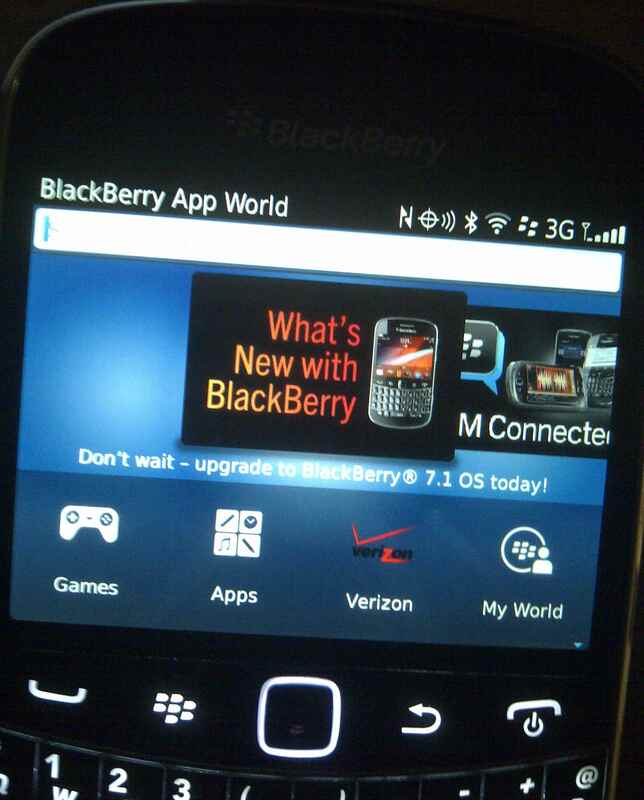 RIM is using the lead spot on its app carrousel to promote the upgrade OS 7.1. Hopefully this results in OS 7.1 seeing a better upgrade rate then RIM has seen in the past. Or even better, something approaching the rate of the near universal upgrades currently seen on the PlayBook.